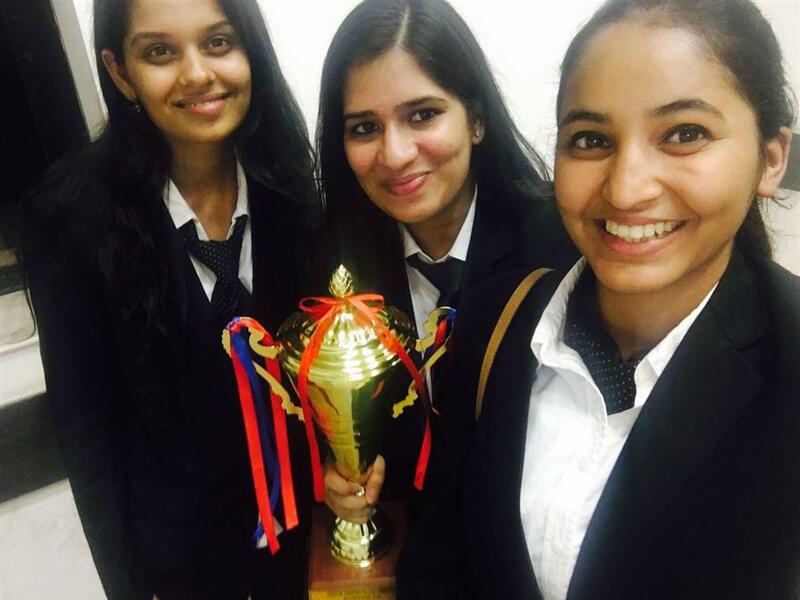 The team comprising of Kashni Bathla, Prateeti Gautam and Ankita Gupta, from 3rd year, had participated in Prof. V.S Mani Memorial International Law Moot Court 2017, held at Seedling School of Law and Governance, Jaipur National University from 22nd September to 24th September. They were adjudged as Runners-up . The team was awarded a trophy along with certificates and cash prize of 15,000.